Postherpetic neuralgia is defined by the presence of persisting pain for ≥120 days after the onset of rash at the acute herpes zoster site. Analgesics may be more effective in alleviating pain associated with postherpetic neuralgia (PHN) compared with topical therapies, antivirals, antidepressants, and antiepileptics, according to findings from a meta-analysis published in Pain Physician. 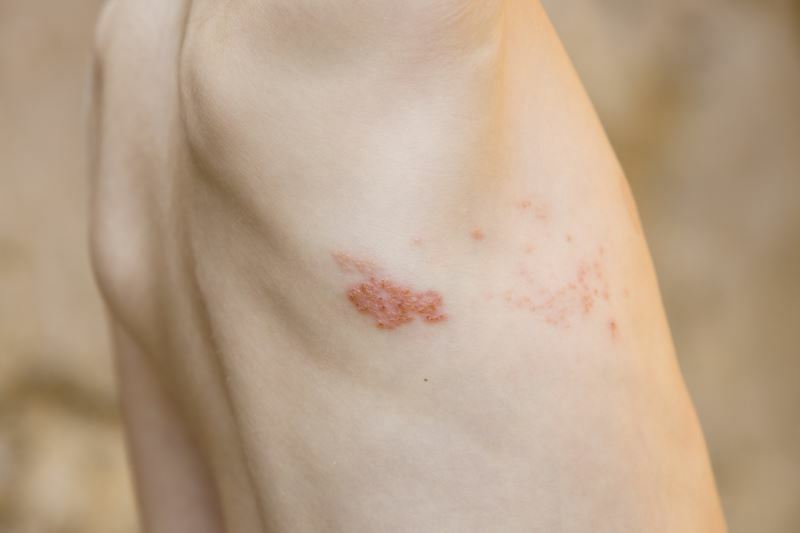 PHN is defined by the presence of persisting pain for ≥120 days after the onset of rash at the acute herpes zoster site. For this meta-analysis, 2 investigators independently reviewed 27 randomized controlled trials examining the efficacy of PHN treatments for relieving PHN-associated pain. Medications evaluated in these trials included antiepileptics, analgesics, antipsychotics, antidepressants, antidementia drugs, antivirals, amitriptyline and fluphenazine, topical therapies, and magnesium sulfate. In the pairwise comparison analysis, analgesics were found to be superior to antidepressants for pain relief (standardized mean difference [SMD], 0.40; 95% CI, 0.05-0.75), and amitriptyline and fluphenazine were deemed inferior to antidepressants (SMD, 0.86; 95% CI, 0.00-1.72). Overall, analgesics (SMD, −0.64; 95% CI, −1.13 to −0.15), antiepileptics (SMD, −0.72; 95% CI, −1.06 to −0.38), antidepressants (SMD, −0.70; 95% CI, −1.36 to −0.04), and topical therapies (SMD, −0.23; 95% CI, −0.36 to −0.09) were superior to placebo for relieving pain in patients with PHN. Compared with placebo, significant improvements in pain were also noted in patients receiving antiepileptics (SMD, −0.64; 95% credible intervals [CrI], −0.90 to −0.39), analgesics (SMD, −0.73; 95% CrI, −1.38 to −0.07), antidepressants (SMD, −0.67; 95% CrI, −1.27 to −0.07), and topical therapies (SMD, −0.42; 95% CrI, −0.77 to −0.06) in the network meta-analysis. Some of the included trials lacked direct comparison studies for antivirals, antidementia drugs, and magnesium sulfate, which limited the evaluation of the drugs’ pain-relieving efficacy. In addition, the network meta-analysis did not assess the adverse effects of the evaluated therapies, limiting the ability to determine the full benefit of using these modalities in patients with PHN. Song D, He A, Xu R, Xiu X, Wei Y. Efficacy of pain relief in different postherpetic neuralgia therapies: a network meta-analysis. Pain Physician. 2018;21(1):19-32.